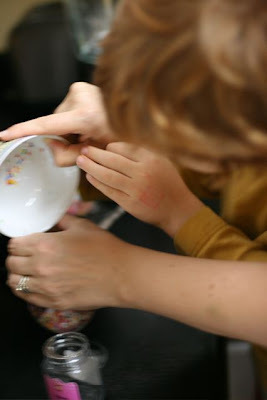 Add 2 parts sugar to 1 part boiling water. Stir until dissolved. And set aside to cool. Keep leftovers in the fridge. 3. 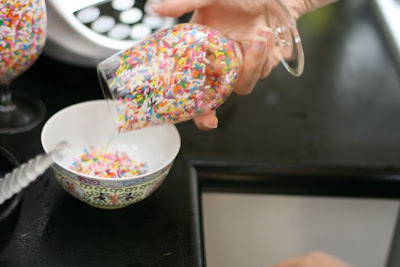 Roll the sprinkles around to coat the inside. Repeat with 3 more glasses. 5. 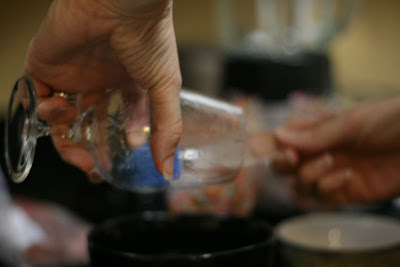 Blend until smooth and pour into glasses. 6. 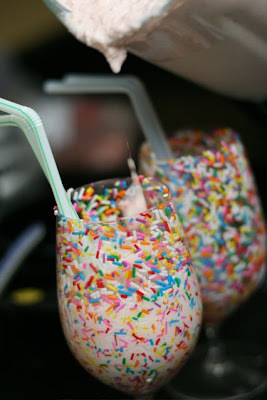 Serve immediately to avoid the colour of the sprinkles running into the shake. Makes 4 kid-sized shakes. Thanks so much for stopping by my blog :) I came to have a look at yours only to discover that I was here only a few days ago! 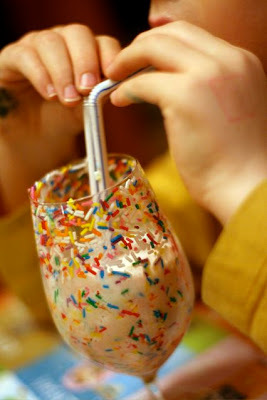 I *love* these sprinkles milkshakes & hope to do them with banana smoothies soon. My boys will be delighted :) I had fwd'd your post about the indiana jones party to my sister in law as my nephew is wild for it. I am also a designer & a mama & wife & love good design... rock on wee life mama! thanks for dropping by ... hope you enjoy the shakes!